Daspan is a small village in the Bhinmal tehsil district of Rajasthan. This small village was founded in 1713 AD by the rulers of Marwar. This small town is ideally located in the midst of serene surroundings is visited by many travelers from around the world for its majestic heritage hotel. 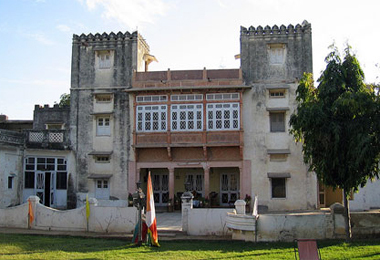 The small castle is a beautiful fortress palace and was built in the early 19th century by the royal Marwar clan. To accommodate well with the modern travelers with small additions and changes made in this magnificent fortress keeping the old world charm intact. The castle structure is built in the Indo –European style and features separate parts for ladies and gents. The facilities like jeep safari, camel safari, Horse safari along with the excursion tours to the nearby tourist places are sure to make ones stay memorable. Lodging in these heritage hotels in Daspan, is provided in terms of spacious and tastefully designed and furnished rooms. While relaxing in these rooms one can enjoy the beautiful views of the surrounding areas. So next time you think of a relaxing vacation book a couple of days stay in the heritage hotels of Daspan through HeritagehotelsofIndia to avail great discounts.